Lucy’s Sausage – Bracciole, Sausage & Peppers, Cannoli, Zeppole, Torrone, and Gelato! 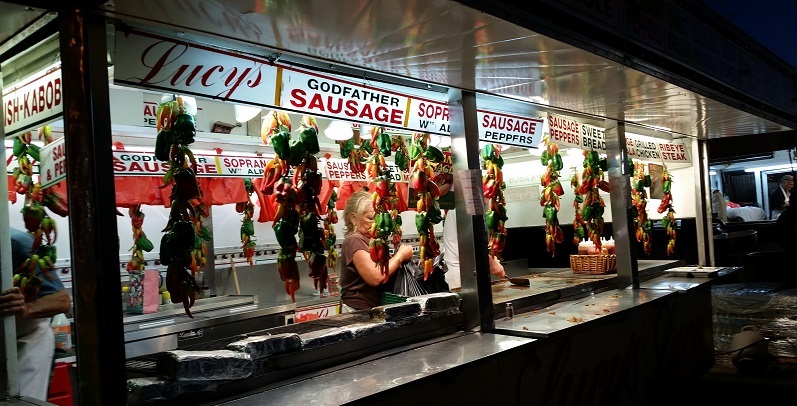 If there is an Annual Italian Street Fair Feast or Festival you can be sure to find Lucy’s Sausage there serving good times, and leaving you with great memories. From the feast of San Gennaro, to the Saint Theresa Festival in Pelham Bay, in the Bronx – Lucuy’s will be there! Stop by and say hi, take a picture, and try the best sausage & peppers you will ever find at any feast or festival! © 2019 Lucys Sausage. All Rights Reserved.